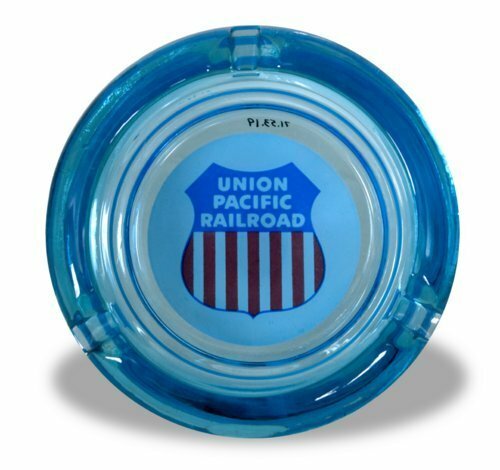 Light blue glass ashtray from the dining car service of the Union Pacific Railroad's City of Kansas City on its last run across Kansas. Service ended may 1, 1971 with the establishment of the National Railroad Passenger Corporation (now Amtrak). The presentation was made at Kansas City's Union Station at the completion of the train's run.